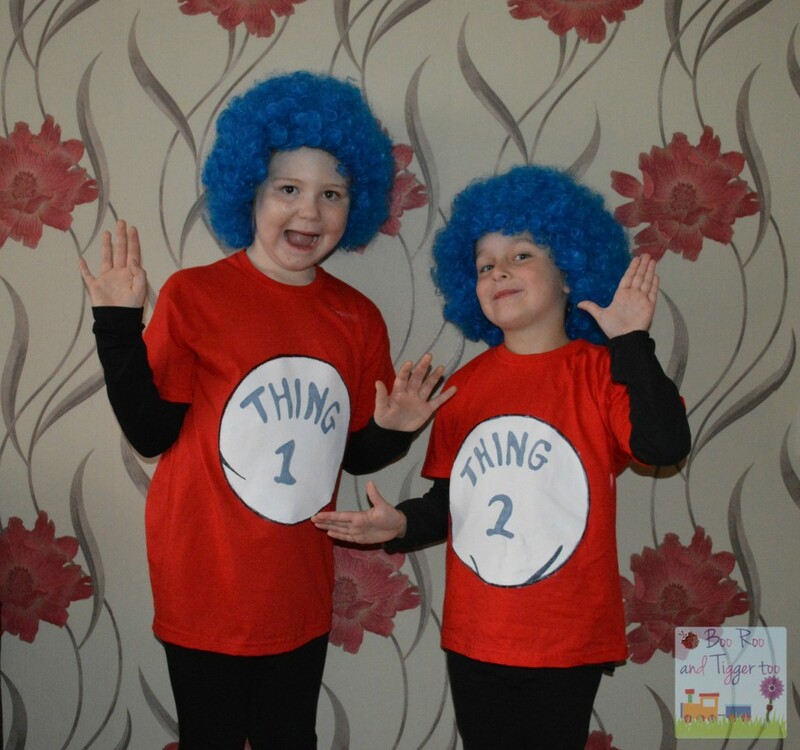 Republished from last year, a few ideas for World Book Day next week! We didn't do World Book Day this year. Normally I'm thrilled to side step the possibility of having to create another costume. It's not just sourcing the materials and building the thing, it's having the idea that I find a bit of a strain. However, I do love World Book Day, because I think it is so important to encourage children to read. I think there may have been a riot if we had been asked to provide a costume though, as that would be the third one this term, so I can understand why it wasn't a good idea. It doesn't make for a very interesting blog post, though, so, with the help of some of my friends, who didn't get a parenting day off, I bring you... 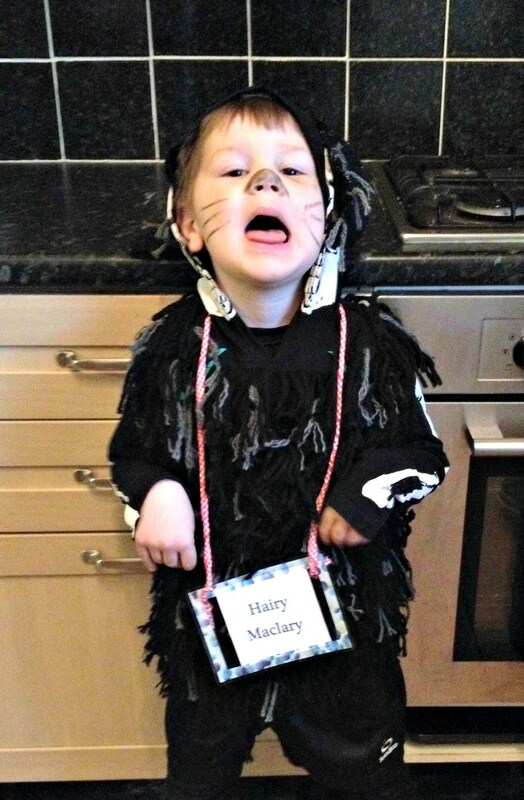 The Best of World Book Day! Hurrah!! As you may have guessed, I am especially fond of the low effort, great idea costumes. 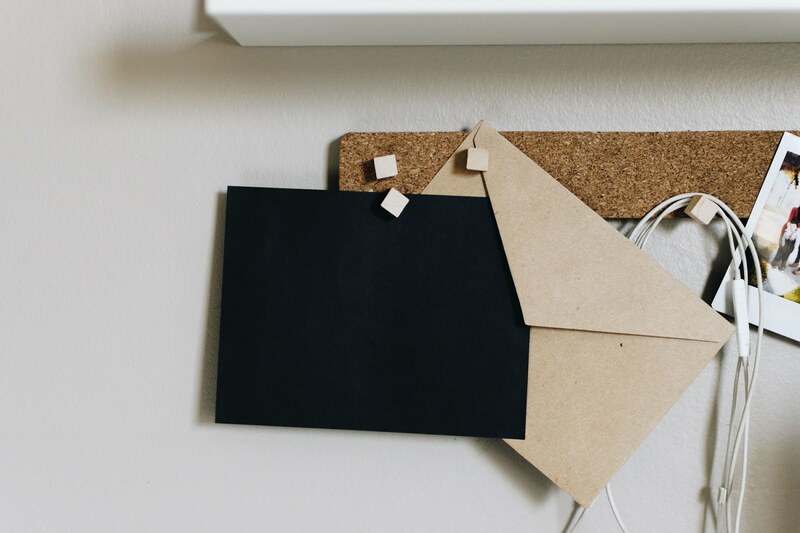 For when you've got lots of other parent-stuff to do, or you might have, ahem, forgotten. We've all done it. I once threw a Roman slave costume together in four minutes using a table cover and a length of rope! 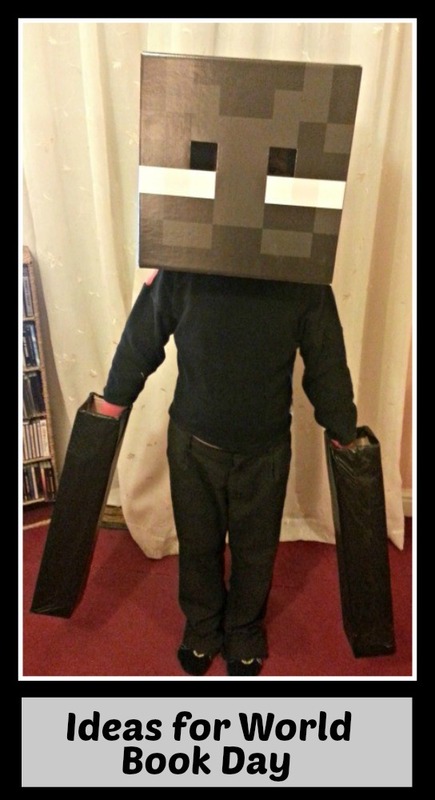 My infamous Enderman costume isn't too taxing either, especially if you can still buy the Enderman head. 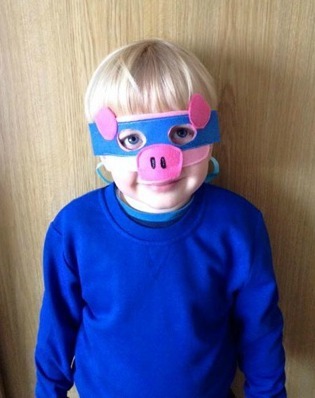 This Ninja Pig Costume from Jess, at Jess and Bodhi is perfect. Easy, comfortable and lots of fun! Read more about World Book Day Stress! This little piggy went to school! 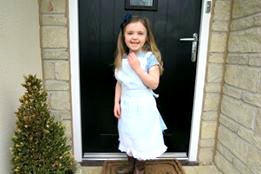 Caroline, from Mrsmagovern.com was determined to beat the shop-bought price of an Alice in Wonderland costume and managed it with superb style. The end result is something much more hardwearing that could be worn for lots of other occasions and for £3 less than the retail price. 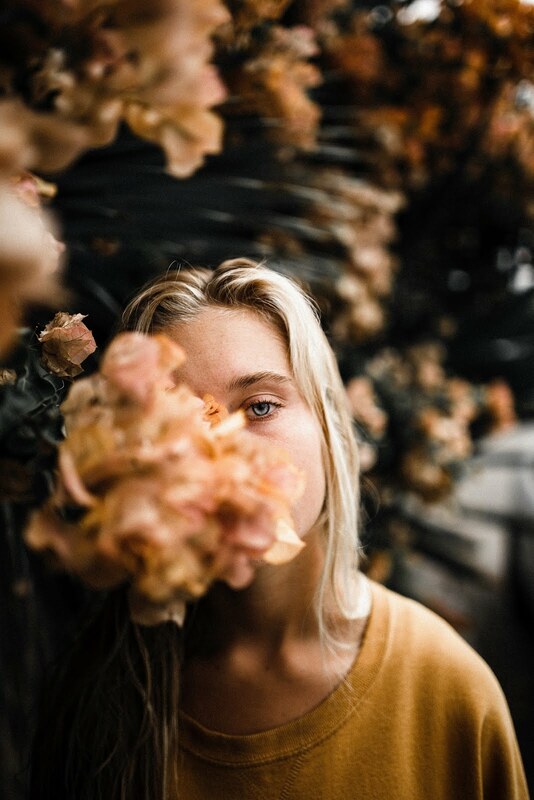 Doesn't she look adorable? Sarah, from Boo, Roo and Tigger Too has some great idea for costumes, including this rather fantastic 'Thing 1 and 2' ensemble. Handy if you have twins, siblings or, in this case, best friends! I don't envy parents with multiple children on days like this. How many different, convincing costumes can one person create on a limited time budget?! Karen from That Lancashire Lass has two children and ended up pulling a parent all-nighter with her ambitious Hairy McClary costume. Fantastic result, and round of applause for that 3am dedication! Fortunately, son number two's costume was much easier; Roald Dahl's Mr Twit! Still a great costume though, what a trooper! A long night well spent! Laura, from Mum of Five Staying Sane had a brilliant idea for a quick Very Hungry Caterpillar costume. I reckon she secretly had lots of fun doing all that colouring! I hope he remembered his lunchbox! 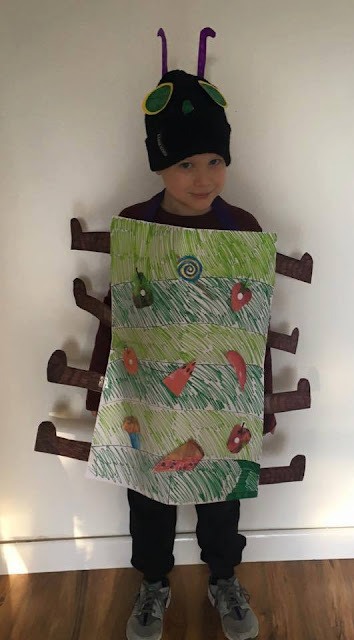 I love this idea for a Peter Rabbit costume from Niki at Play and Learn Everyday. I would never have thought of doing it like this, but, not only does it look great, it would also be really comfortable for wearing all day at school! Watch out for farmers on the way to school! 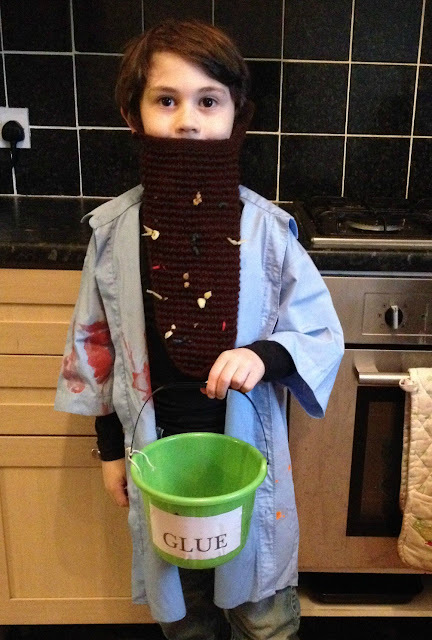 Those are some of my favourite costumes, but I'm sure there were lots of other brilliant examples at school today. Well done to all the parents that came up trumps once again, you are brilliant! There is a lot of artistic licence going on there! Yes, I think some parents do stretch the brief a bit! It's getting much easier to make costumes these days, with all the ideas you can find online.